Lindsay Bunn Rodgers nearly had an organ removed. Here’s how cannabis oil healed this woman’s thyroid disease and inoperable mass. Lindsay Bunn Rodgers nearly had an organ removed. She had inoperable masses on her thyroid gland, an organ that isn’t thought about much until something goes completely awry. In desperation, she turned to cannabis oil. Here’s how cannabis oil healed this woman’s thyroid disease and inoperable mass. During a routine doctor’s visit, Lindsay Bunn Rogers learned some life-changing news. First, she learned that she was pregnant. Then, she learned that she had hypothyroidism. Hypothyroidism is when the thyroid gland beings to pump out excessive hormones. This causes all sorts of things to go wonky, including metabolism, mood, sleep, and body temperature. In Bunn Rogers’s case, her hypothyroidism was triggered by masses that had developed on the gland. After her diagnosis, Bunn Rogers began the medication regimen directed by her doctors. Only, instead of getting getter, she got a lot worse. She remained physically ill throughout her entire pregnancy, and the masses in her thyroid continued to grow. Nothing could be done about the growths until after her baby was born. Eventually, the masses became so severe that she was scheduled for an emergency surgery to remove her entire thyroid. This meant losing a vital organ. Bunn Rogers would face a lifetime of medication after removal. Unsatisfied with this option, she decided to experiment with cannabis oil. Bunn Rogers began using medical cannabis oil daily along with a cannabis topical. Over several months, she began to notice both visible and symptom improvement in her condition. When she started cannabis treatment, her throat was so swollen that it looked like she had swallowed a small orange. In May 2013, ultrasounds concluded the masses were all stable, nothing had grew and my doctor considered my disease as ‘stable’ saying I no longer qualified for emergency surgery! In November 2013. 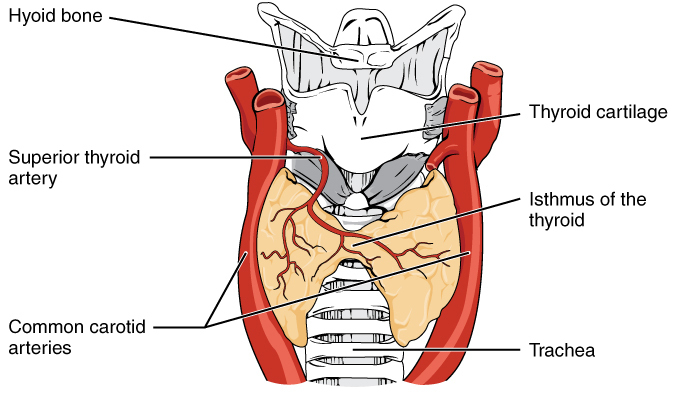 GREAT NEWS… The doctor confirmed my Thyroid is functioning! Better than that, it was functioning at almost perfect levels! I was actually 5% above normal, which in his words was ‘Almost perfect, pretty much impossible and must be a FLUKE in the blood work’! Bunn Rogers shares how she medicates with cannabis in the video below. What’s your cannabis story? Share with us on Facebook, Twitter, or in the comments below. We’d love to hear from you.